The grant will support cell transplant research. The donor has a strong interest in fighting autoimmune disorders. (Bloomberg) — Silicon Valley entrepreneur Sean Parker donated $10 million to create a research center at the University of California at San Francisco that he hopes can find a cure for Type 1 diabetes in five years. Parker’s donation will establish an autoimmune disease research laboratory within UCSF’s Diabetes Center, headed by immunologist Jeffrey Bluestone, the university said Tuesday in a statement. Patients with Type 1 diabetes, also known as juvenile diabetes, don’t have insulin because their immune system attacks cells in the pancreas that normally produce the naturally occurring hormone. Insulin helps transport glucose to the body’s cells from the blood. Without it, sugar builds up in the blood, leaving the body starved of the energy it needs. The goal is to give Type 1 diabetes patients a transplant of insulin-producing cells, coupled with cell therapy that helps re-educate the body’s immune system so it won’t attack the insulin makers, Parker said in a conference call with reporters. 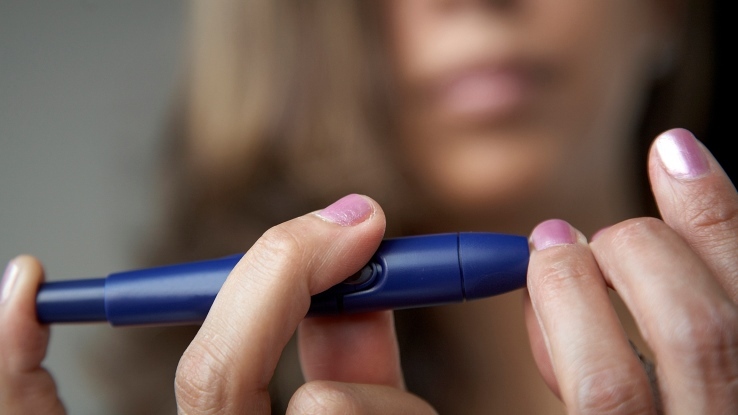 “We’re hoping to ultimately cure Type 1 diabetes,” Parker said. “Realistically, it’ll take five years” to conduct a demonstration in a patient that proves the approach is viable, he said. About 5 percent of the estimated 29.1 million Americans with diabetes have Type 1, according to the U.S. Centers for Disease Control and Prevention; the rest have Type 2, which is tied to sedentary lifestyles and being overweight. The disease usually strikes in childhood, adolescence or young adulthood. Bluestone’s research focuses on immune system cells called regulatory T-cells. Rather than provide patients with a constant supply of drugs to suppress their immune system, Bluestone said he hopes these regulatory cells can re-calibrate the body’s response. Using a cell-based therapy means the treatment will “expand and grow and live” in the patient, hopefully lasting long enough to be administered “a limited number of times,” he said. If the approach is successful, it could have implications for other autoimmune diseases including multiple sclerosis and rheumatoid arthritis, Bluestone said in the statement. Parker, best known as the co-founder of Napster Inc. and former president of Facebook Inc., set up a philanthropic foundation in June and has given extensively to medical research, including $24 million to create a center for allergy research at Stanford University and a $4.5 million grant to UCSF to pursue malaria elimination. Parker’s interest in treatments that modulate the immune system stem from his own food allergies and asthma, he has said.